Peter Blanchard is a 2008 graduate of Dallas H.S. who is studying Journalism and Political Science at Ithaca College. He recently produced an online presentation about the FRACKING issue. This is an interesting “collage” format which includes recorded interviews and visuals. The presentation moves from left to right. You can scroll moving your cursor to the right of the screen then click on the interviews as you encounter them. The only note I wish to add is that the graphic showing the cross section of drilled earth has a label titled “SEAL”. This should not be interpreted as impenetrability. “To natural-gas drillers, too, the writing was on the wall as early as February. That was when Rendell announced in his budget address that he was pushing for a new tax on the odorless, colorless gas found deep below Pennsylvania’s soil. 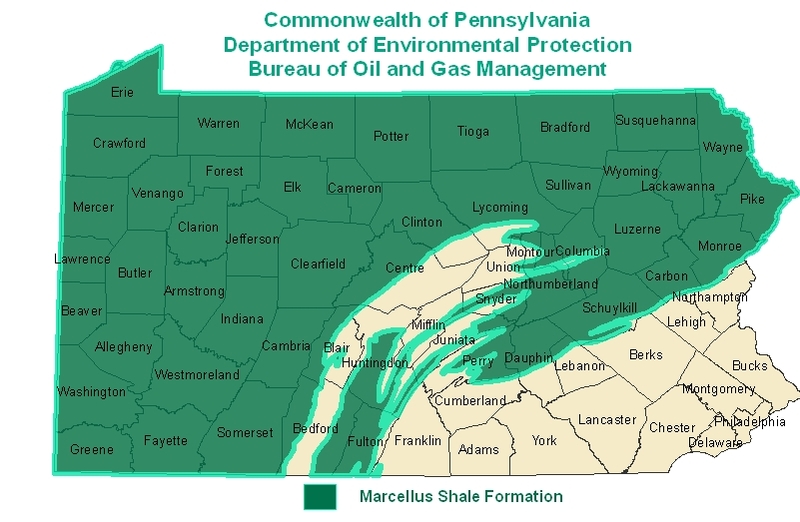 Rendell said the tax would bring in about $100 million this year, thanks to what he called the “gold rush” of new drilling for natural gas in the vast underground formation known as the Marcellus Shale. But in late August, the governor – to the surprise of some of his aides – said drilling executives had convinced him that imposing the tax this year would stunt the growth of the industry. Rendell said he would abandon his push until next year. The companies won another major victory in the prolonged budget battle, persuading lawmakers to open up thousands of additional acres of state forest land to drillers despite the concerns of environmentalists. The industry’s argument: The state could bring in more revenue by leasing the land to drillers than by taxing the gas extracted. As a whole, the natural-gas industry reported spending about $1.6 million on lobbying thus far this year. Range Resources Appalachia L.L.C., a Texas company that has invested heavily in drilling in the Marcellus Shale, led the way, spending $605,817 this year – nearly triple the expenditure of the next-closest natural-gas company, Chesapeake Appalachia L.L.C. By comparison, Range Resources reported spending less than $200,000 on lobbying here last year. Here is an interesting page on political contributions made by gas drilling interests to Pennsylvania politicians. Included on the list are local politicians: Lisa Baker, Karen Boback, Robert Casey, Todd Eachus, and Robert Mellow. There may be others I didn’t recognize when I scanned the 2009 list. If there are, let us know. You are currently browsing the Frack Mountain blog archives for February, 2010.